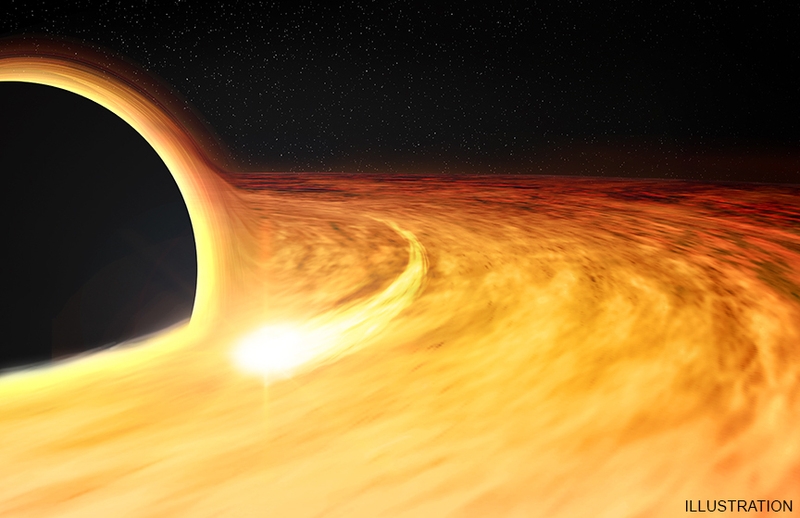 This artist's illustration shows the region around a supermassive black hole after a star wandered too close and was ripped apart by extreme gravitational forces in a source called ASASSN-14li. Some of the remains of the star are pulled into an X-ray-bright disk where they circle the black hole before passing over the "event horizon," the boundary beyond which nothing, including light, can escape. 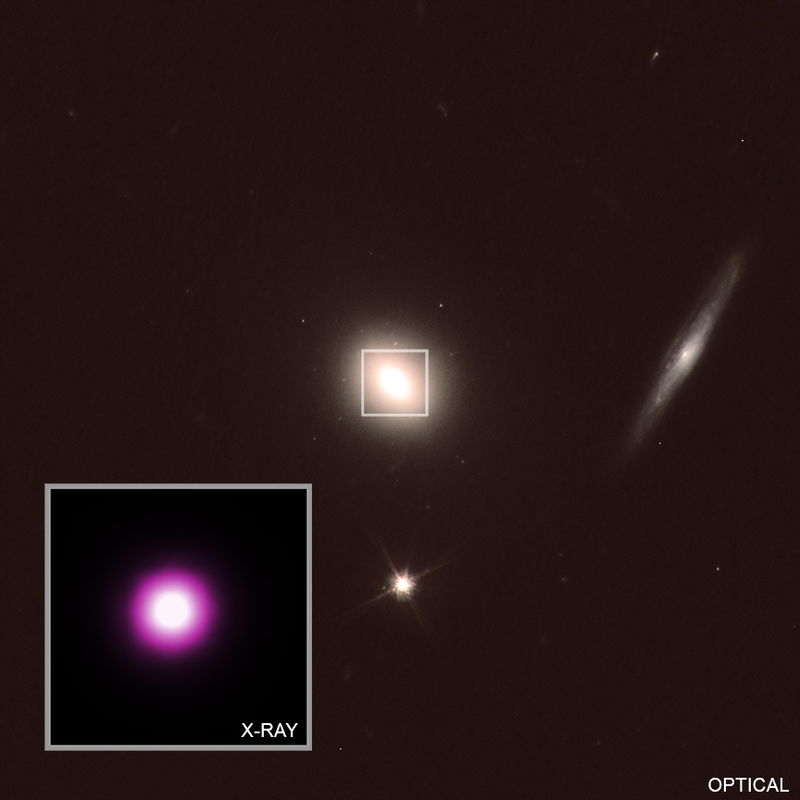 Scientists used Chandra and other telescopes to study this event and determine the spin rate of the black hole, a fundamental property that has been difficult for astronomers to measure.